A draft document has downgraded revenue projections under new policy by up to 30 per cent by 2021, according to reports in Fairfax newspapers. The draft allegedly highlights a string of problems with the roll-out of the Coalition’s plan to build a fibre network as far as street corners. It says changing the plan will set back the schedule considerably, and when the network is actually built – it will be slower than predicted too. 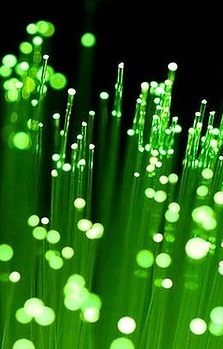 The internal report goes on to say it is unlikely that NBN Co will meet its 2019 deadline to have 90 per cent of homes connected with downloads at 50 megabits per second – unless a numbers of technical, legal and construction issues can be sorted out. “This document is out of date, defending a failed project, it has no credibility, absolutely none,” Communications Minister Malcolm Turnbull said, adding that the document was prepared by former NBN Co chief executive Mike Quigley. The Labor Communications spokesperson Jason Clare says it is the “blue book” report given to the incoming Coalition Government. “This is a secret document prepared for Malcolm Turnbull when he became communications minister,” Mr Care said. Current NBN Co chief Ziggy Switkowski says he has not seen the document, and that the NBN Co board's agenda is a mystery to him too, as he was not working for the company at the time.